There are a couple of companies that are really pushing the boundaries of case design at the moment. In Win is one but Thermaltake is definitely another too. 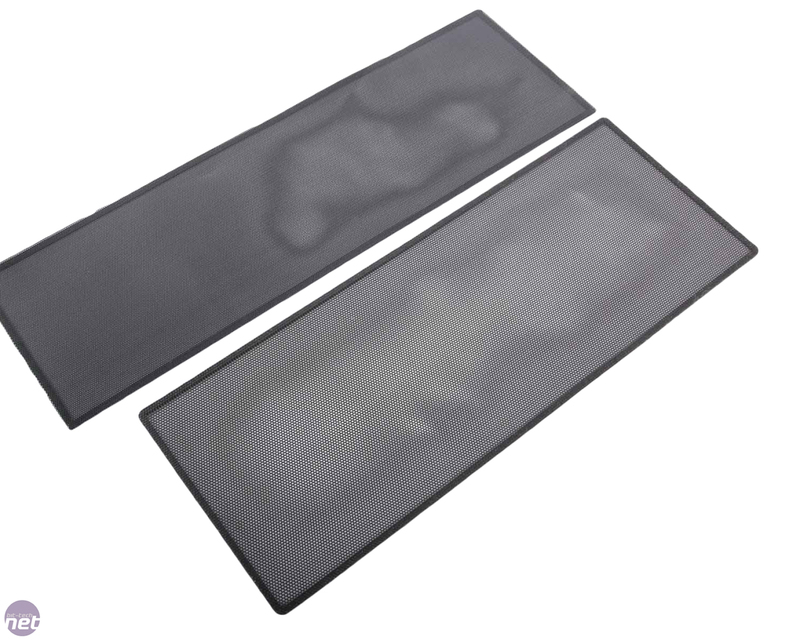 In fact, it's not just cases that it's focussing on either - it has a whole range of custom water-cooling hardware too. Today though, we're looking at the Core P5 which, despite the name, is a completely different beast to the Core X1 case we looked at earlier this year. 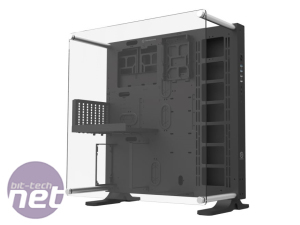 We've seen a few similar cases around - both from the likes of Lian Li such as its PC-O5SX and also custom-made chassis in our modding forums - most likely where mantufacturers are getting the ideas for these swanky wall mountable cases from in the first place. There's a market for them too - mounting a PC to a wall can save space, show off your hardware and due to the flat layout, can often be easier to work with too. There are some differences between the Core P5 and Lian Li's efforts though. 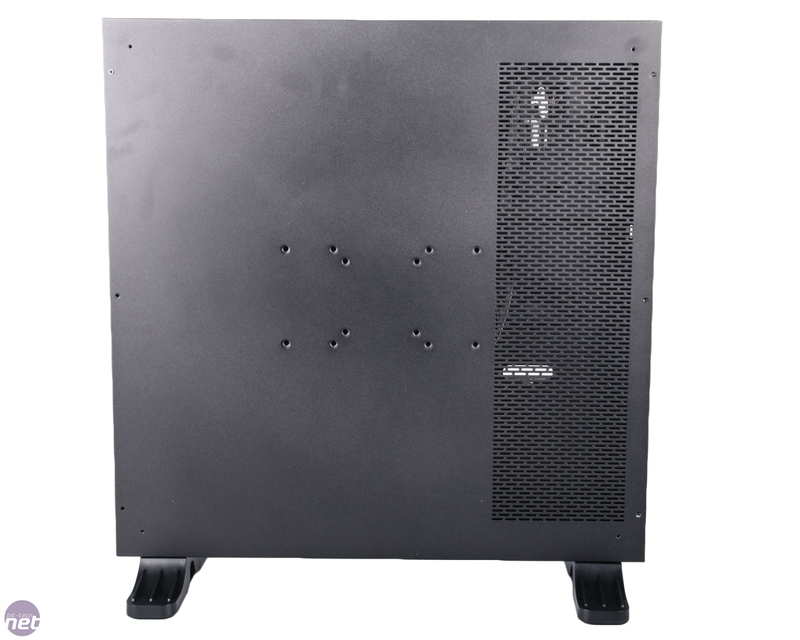 The most obvious and significant is that the Core P5 is essentially an open-air chassis and as such, there's little point us testing it as a normal case when there are no case fans or any kind of thermal design. Cooling will obviously be good for the simple reason you're essentially using an open-air test bench and not an enclosed case. The large acrylic panel gives a fantastic view of the interior - something you only get with a case like this but unlike the PC-O5SX, since the Core P5 is an open air case, the issue of dust is a concern. 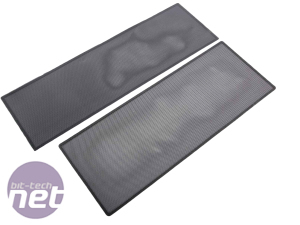 However, Thermaltake appears to have given this some thought and has included two large dust filters for the radiator mount - this is designed to be part of a water-cooled system rather than an air-cooled case although there is room for standard air coolers up to 180mm in height. Even if you do water-cool the system, the PSU is still at the mercy of dust, although the rest of the system would be very easy indeed to get a vacuum over once in a while. Lian Li's cases come in a range of sizes as well, catering for mini-ITX, micro-ATX and ATX exclusively, while the Core P5 is a full-size ATX monster. It's also primarily made of steel and is extremely heavy, while Lian Li's efforts are of course lighter being made from aluminium. 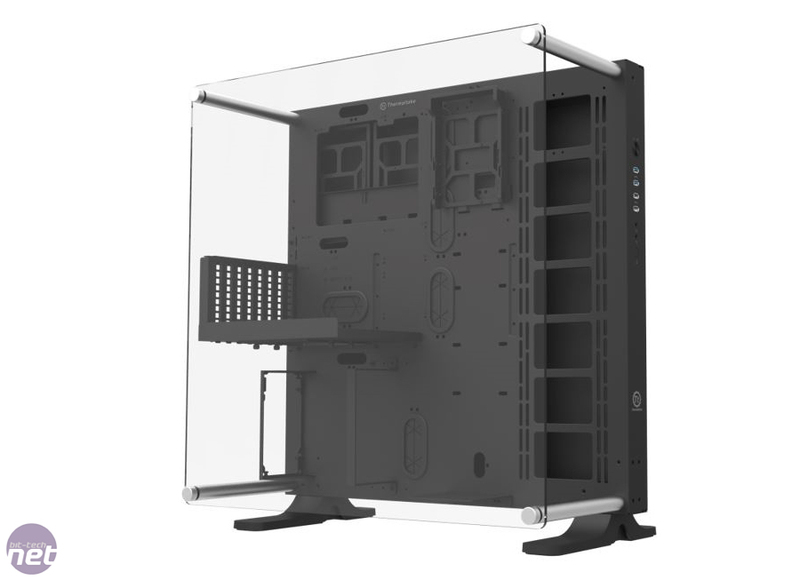 However, the downside to using aluminium and indeed tempered glass is cost - even the mini-ITX version of Lian Li's wall-mountable series retails for £250. The Core P5 is considerably more affordable at £110 - in fact, given its excellent build quality and well thought-out design, we guessed it would be retailing closer to £200 too. 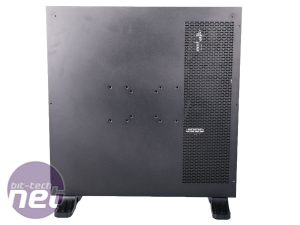 Size-wise, even though the Core P5 can house ATX motherboards it's still a large case. It's 61cm high (23.9in) and 57cm (22.4in) wide and despite sporting what appears to be a low profile it's actually fairly hefty in depth too at just under 34cm (13.1in). 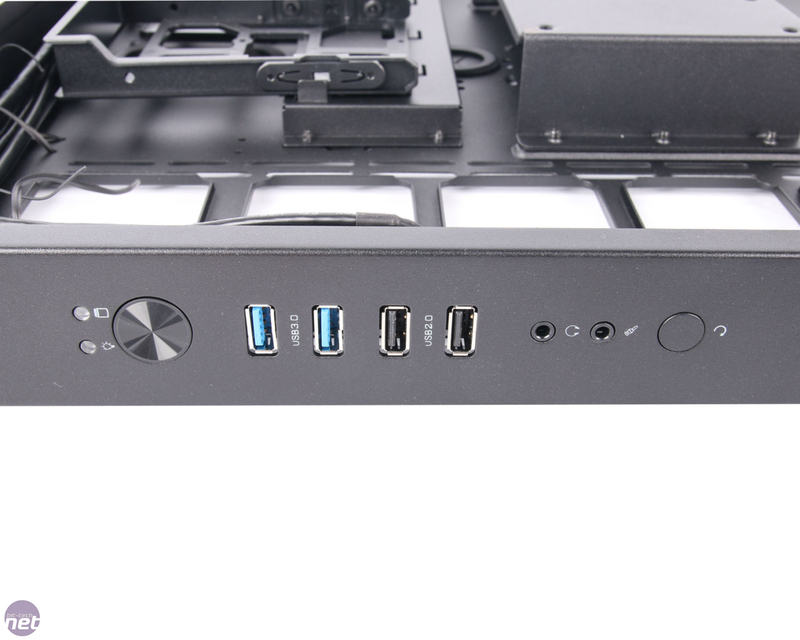 The exterior is powder-coated black and the edging is only broken up by the front panel, which sports USB 2 and USB 3 ports plus the usual buttons and audio jacks. The rear of the case actually slides off, revealing the innards behind the motherboard tray. 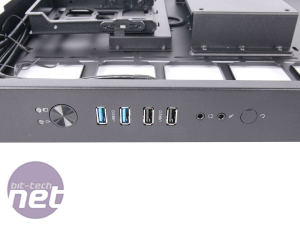 While the Core P5 is touted as being a wall-mountable case, there are also options to have it sit upright as we have done in this review, and also laid flat using various support feet - more on this over the page.